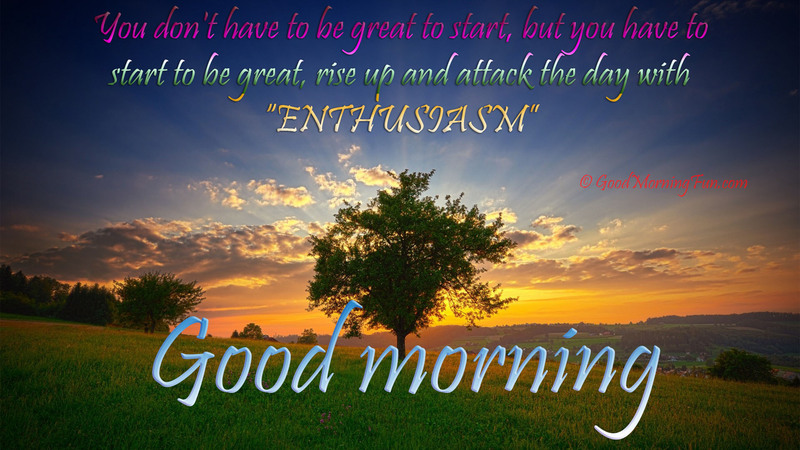 HomeMorning QuotesGood Morning Motivational Quote to Think Big and Be Positive. Motivational Quotes to be Positive. Think in the morning, Act in the Noon. Eat in the evening. Sleep in the Night. When you arise in the morning, think of what a precious privilege it is to be alive – to eat – to think – to enjoy – to love – then make that day count. Good Morning Motivational Quote to think big and positive. Don’t Let Yesterday Take Up Too Much Of Today. -Will Rogers. The best feeling in the world is to know that you belong to me and you are mine. Every morning that is all I need to know and that itself is enough for me to have a good day. Good Morning – Wishing you all a joyful day.